What is the mystery of this smal creature, object of such devotion ? 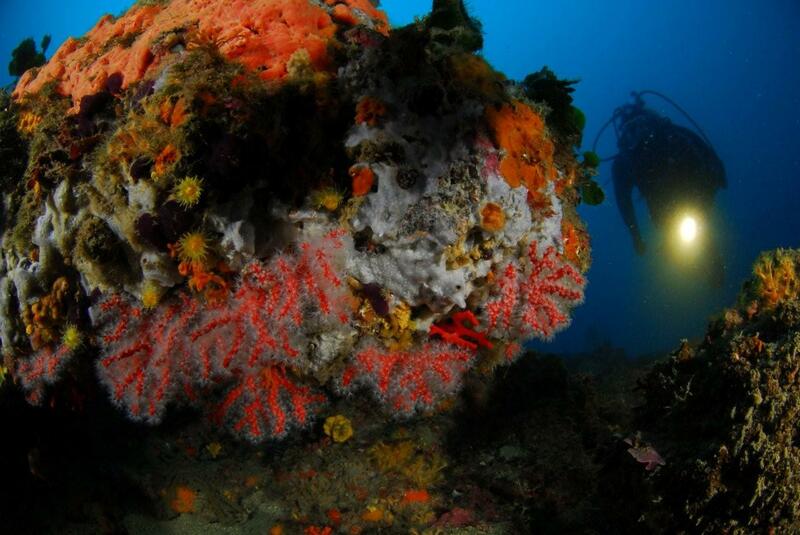 Since the beginning of time, coral has held a deep fascination for humans who are prepared to face even a watery death to retrieve this treasure from the depths on the Mediterranean sea. It all began more than 2000 years ago, according to a legend that gives red coral an almost sacred place in Mediterranean mythology. As the Greek myth goes, Perseus, son of Zeus and Danae, was asked by his sister Minerva to kill Medusa, the queen of the Gorgons. Medusa, as legend goes, had the awful and terrifying power of transforming any living thing in stone. Only Perseus, with the help of the Gods, was able to vanquish her evil power. He cut open her head and a few drops of blood spread out into the water. They hardened into a solid substance of a glowing red colour. The Greeks called this ornament of the sea « koraillion » and believed that it had miraculous powers. 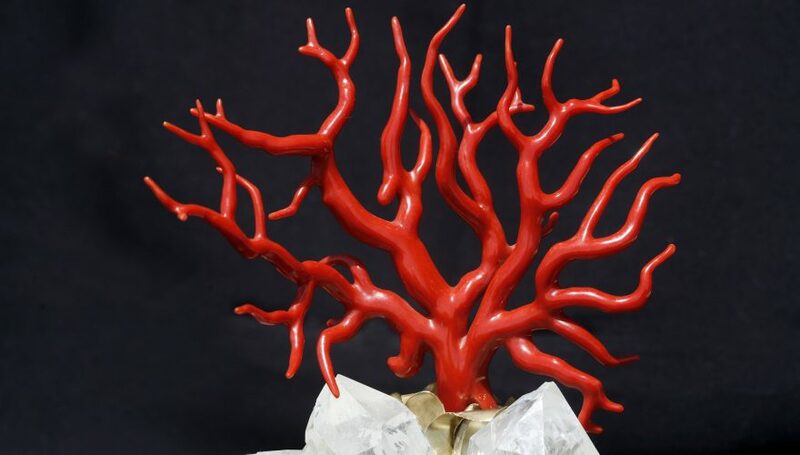 It is the central skeletal axis of red coral that is of primary interest to the jewellery industry, whose world center has been located in the town of Torre del Greco in the Bay of Naples since the middle ages. 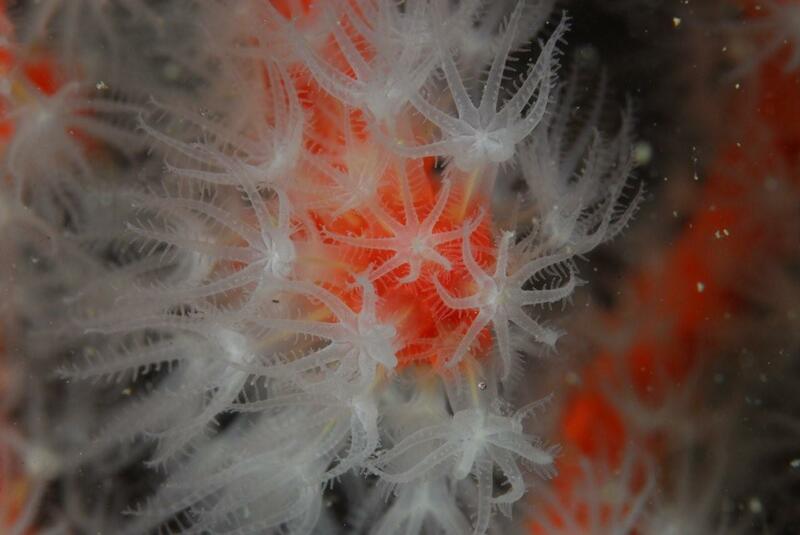 However, Bonifacio is home to some of the most beatiful specimen of coral. One such type, known for its strikingly bright red colour, is called « sang de boeuf ». 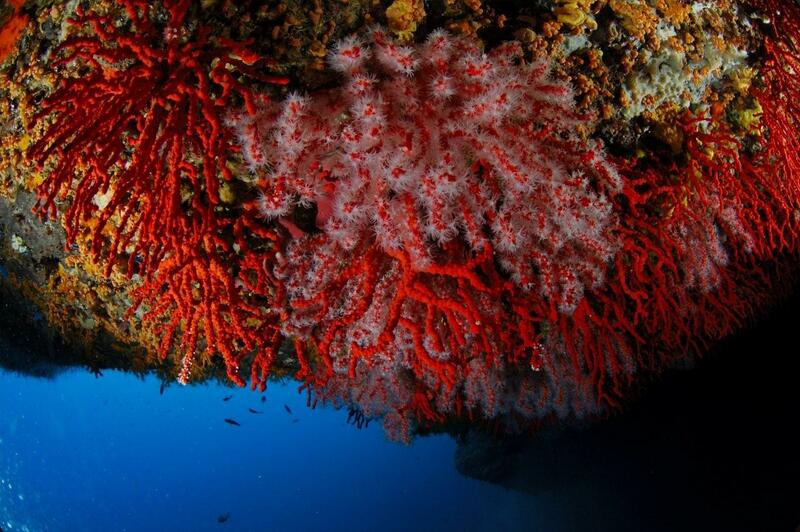 « The purity of this red, its intensity, make it one of the most coveted types of coral in the Mediterranean. The « sang de boeuf » gives an extra dimension to jewels, it makes them sublime » says Jean-Philippe Giordano, coral collector and owner of the Boutique du Corailleur in Bonifacio’s old town. Jean-Philippe is, without a doubt, a name in the small universe of Corsican corailleurs, or coral collectors (there are only eight in total in the island). He has been pursuing his dangerous but fascinating profession for more than twenty years and knows what he is talking about when it comes to anything to do with coral. He is not only a dedicated. The old style of gathering like the « croix de Saint-Andre » or the « ingenio », have been made completely illegal. These terrible styles of « blind » fishing completely destroy the ecosystem. Even after the rules came into force, ther are still some poachers who continue to ravage the depths with impunity using an iron bar lined with nets that rip out everyting in its way and leave behind a broken and desolate sight of dead and craked coral. « I have been fighting for years to make the authorities, marine biologists, and other corailleurs aware of these poachers and their destructive methods. They are creating an ecological disaster that places the entire underwater ecosystem in danger and theatens the future of our profession. We have to do something before it is too late ! 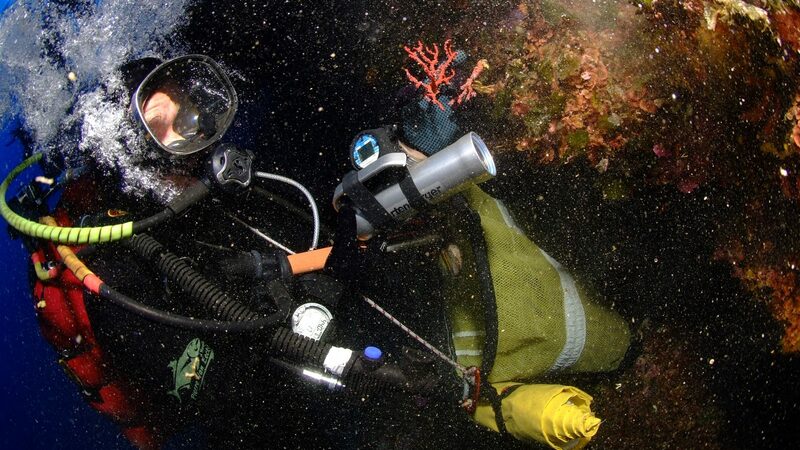 » Jean-Philippe Giordano has been working for many years in close collaboration with scientists to understand the biological mysteries of the red coral and so to better appreciate and understand the source of his livehood and his lifelong passion. A good corailleur is always respectful of the environment ans should use a selective fishing method when gathering the coral, choosing only mature specimens that are found between 70 and 130 meters depth. The search for the « bleeding flower (the name given to the coral by Jules Michelet in his work, The Sea) » is a source of revenue, but it is also a way of life. Once it is collected, the coral undergoes a first cut before being sent to a workshop in the small village of Santa Teresa di Gallura, Sardinia, just across Bonifacio. It is there that Jean-Philippe Giordano has established his workshop and where the jewels and coral pieces that adorn the windows of his Bonifacio boutique are fashioned and pieced together. The Boutique du Corailleur in Bonifacio has a dedicated clientele from around the world. To enter the shop is like wandering into Ali Baba’s cave, or a shrine dedicated to the worship of coral. The first thing that draws your attention is the incredible colour, the deep, soulful red. The eyes cannot even begin to take in the variety of colours and shapes of the jewellery and artworks. 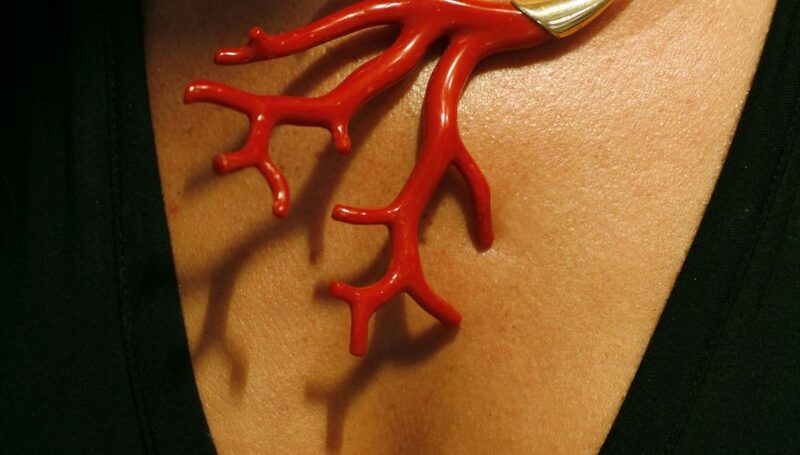 Each piece of jewellery brings out the unique soul and natural crimson beauty of each branch of red coral brought perilously from the depths of the great blue Mediterranean sea.